This is the second time I’ve had this wine and been impressed. The first time we were out for dinner at the Ancaster old mill and I chose it, this time around we were having guests over and I love showcasing Niagara wines to my guests … Nice and dark in color with a varietal cherry nose. On the mid palate the wine displays some nice traditional cab franc notes, cherries, some mocha and some wood notes. On the medium length finish the wine displays some nice firm but smooth tannins and acidity. It’s nice and dry and has some lovely flavors that build in the mouth. 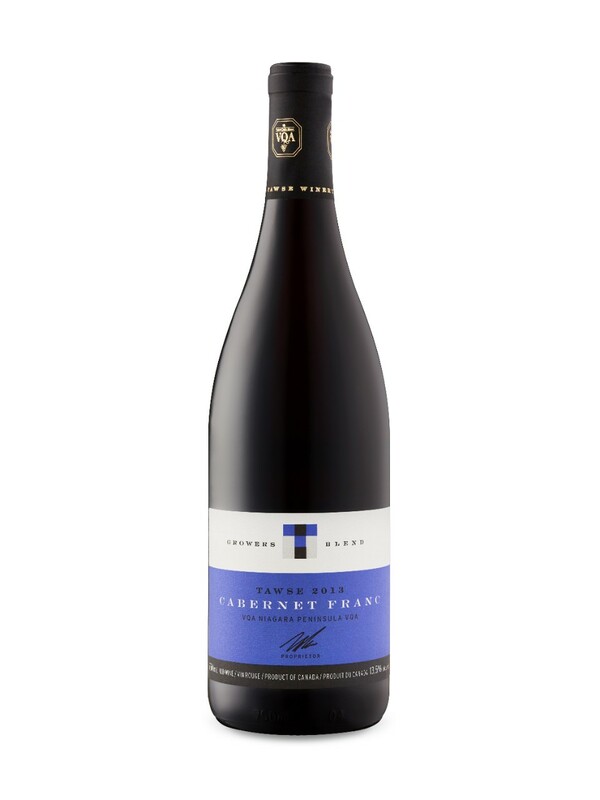 The is a very typical cab franc, done well the way Niagara can do. Tawse achieved a very nice wine … it is a bit on the heartier side so careful what you pair it with. It’s approachable now as long as you want a bigger wine, otherwise it should easily age for a year or two which would soften the tannins some. I chose it as the wine to go with cheese before dinner, and the wine to go with chocolate brownies, it went well. I would give it an 88+. Quite nice! This entry was posted in Canadian, JG Review, Wine, Wine Stuff. Bookmark the permalink.